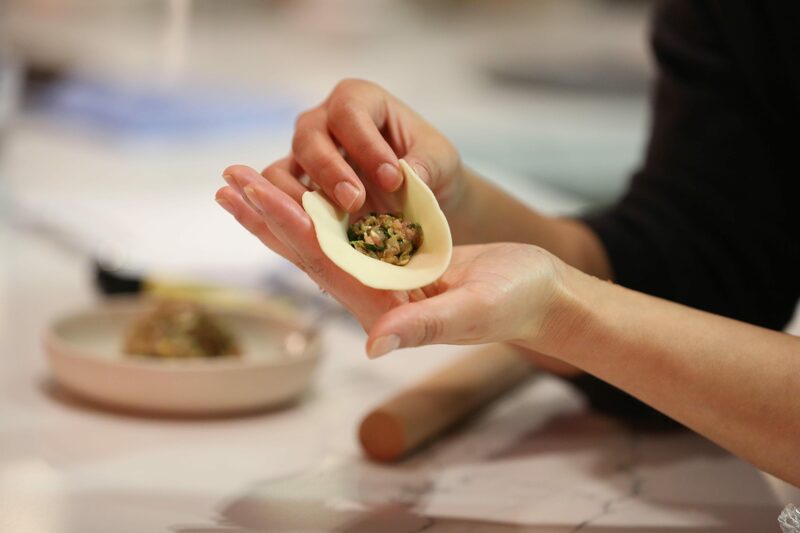 Fish & Co. is collaborating with Vanessa ‘The Hungry Chook’ Miles in Artisan Lane at the Tramsheds to teach you how to make Wild Prawn with Pork Dumplings from scratch: hand make wrappers, prepare the filling, and pass on tips and techniques to make these crowd-pleasers! Our Dumpling Workshops are great to do as a couple, group or a team building event. Vanessa Miles is a popular blogger, chook lover and skilled cook devoted to authentic, seasonal and wholesome cooking. She regularly conducts sell out, ‘hands on’ workshops in both Sydney and Rome. Minimum age is 12 years and need to be attending the workshop with a paying adult. Please refer to the Tramsheds Sydney website for all the information on ‘Getting Here’ and ‘Parking’ information. Wear closed toe shoes and an apron is provided. **Please allow time to visit any of the restaurants for something to eat or drink before the class starts as you will not be eating your delicious dumplings until approximately 8:30pm. We do not offer a refund, however, your ticket is transferrable. Please contact us if you cannot make it and are transferring your ticket to another person/s.